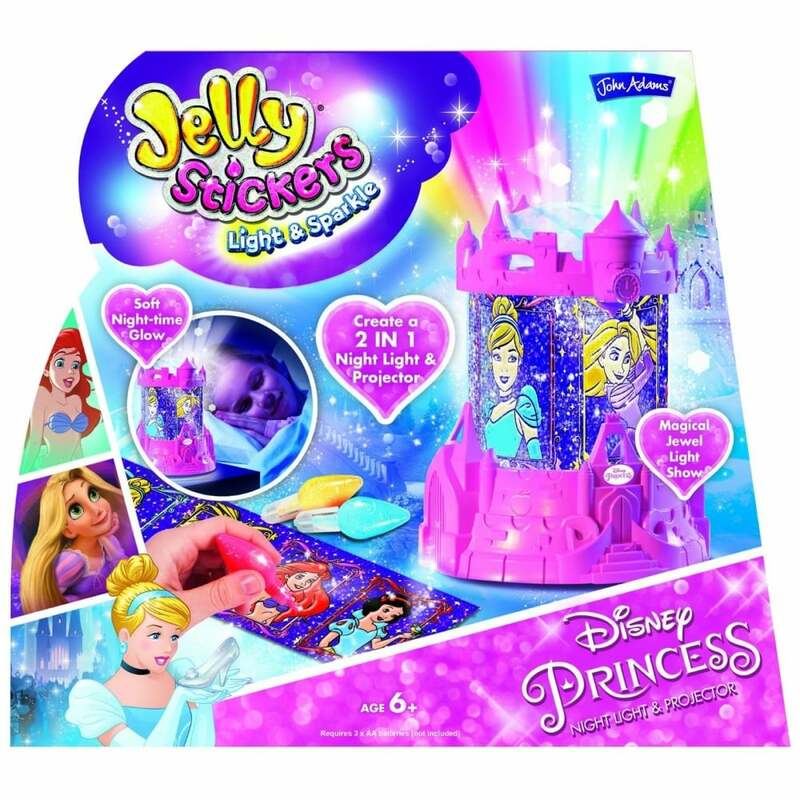 Create a 2 in 1 night light and projector to showcase your favourite Disney Princess characters. Choose your insert and colour in with Jelly paints, then when dry, secure inside the projector unit. Now switch on in a darkened room and choose to see your jelly designs transform into a magical jewel light show or soothing night time glow, as the projector. Select nightlight for a cosy night time glow or select projector to watch a magical jewelled light show around your room.